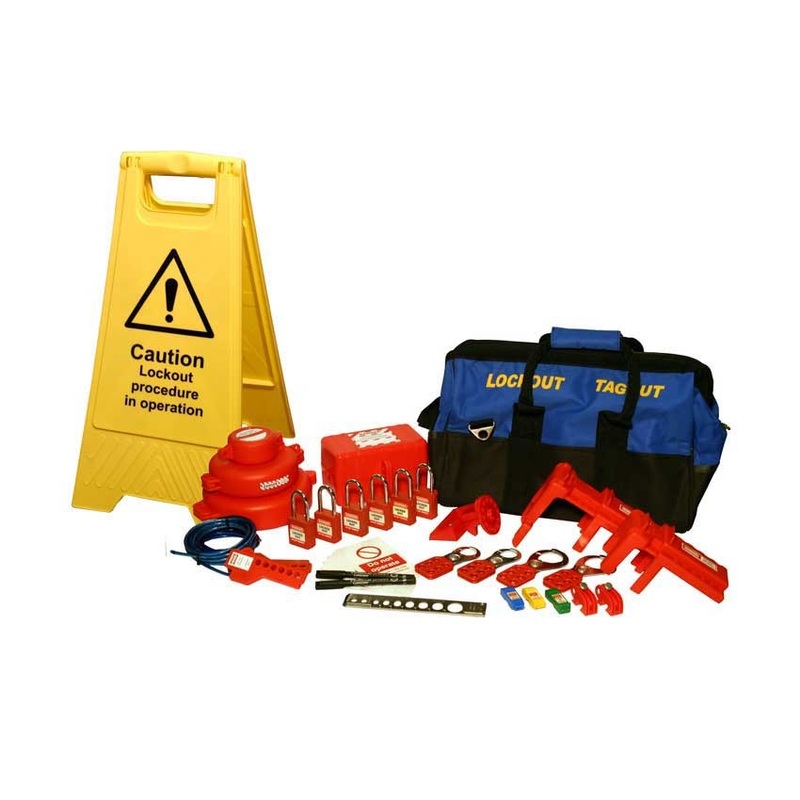 The Lockout Kit Bags are ideal for groups, departments and safety managers. 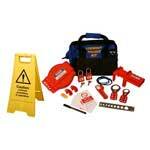 The kits contain the most commonly used lockout equipment to isolate electrical and mechanical equipment. The kits contain lockout products for equipment such as gate valves, ball valves and electrical switches. Also provided in these kits are some essential no lockout equipment including a safety floor sign, permanent markers and 10 'Do Not Operate' tags. For the UK the Provision of Work Equipment Regulations - Regulation 19 - Isolation from sources of Energy states: “Every employer shall ensure, that where appropriate, work equipment is provided with suitable means to isolate it from all its sources of energy. Every employer shall take appropriate measures to ensure that reconnection of any energy source to work equipment does not expose any person using the equipment to any risk to his health or safety”. By having one of these kits onsite an employer is ensuring appropriate equipment is available to workers in order to perform tasks associated with isolating sources of energy.